When a thief sees a high security lock fitted to an intermodal container he will immediately detect it and realise it’s not worth his time. 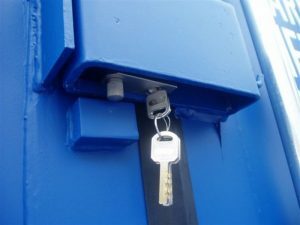 High security locks are a low cost and effective way to limit your liability in a conex container. 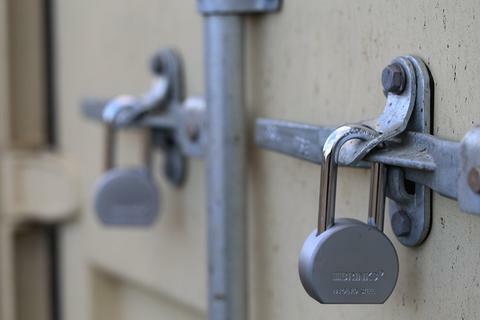 High Security (Hi Security) Locks are specifically designed for use with our shipping container lock boxes. They use a vertical pin that easily pushes up through the locking lug on the door and allow very quick and easy operation to lock and unlock. All locks are supplied with 4 keys when purchased from the Shipped.com website and offer you peace of mind. The ultimate goal of a lock is to deter any potential threat against your valuables and the more difficult the lock is to break, the better security it offers. According to the FBI official statistics over two million burglaries occur in the United States each year. At least 60 percent are due to picked locks or forced entry. Make sure you don’t contribute to that statistic by fitting a lock box to your storage container combined with a high security lock. 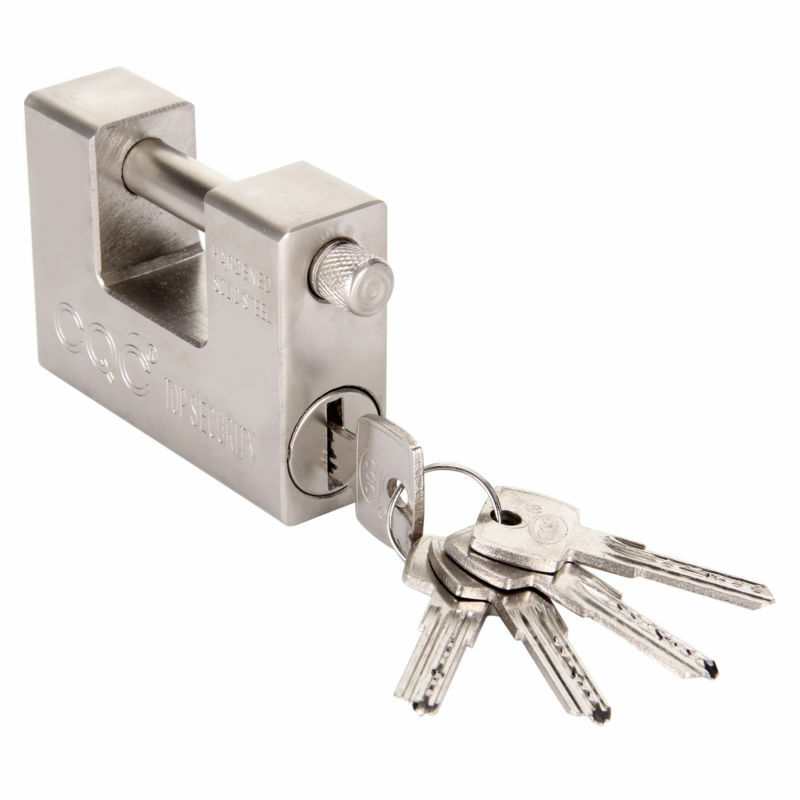 All containers have built in capacity to allow them to be locked with a padlock by use of the locking pins and handle latch. Unfortunately the padlock is exposed and is easily cut off with bolt cutters. Though it seems like a secure solution, for thieves it’s a very routine lock that is easily removed. A lock box on the other hand is a two part locking system, the steel lock box is welded or bolted to each door and once the doors are closed they overlap allowing the container to be padlocked. The lock box then shrouds the lock, protecting it from bolt cutter access. Either a standard 45mm padlock, or our high security locks can be used with the lockbox, the choice eventually comes down to you. Now when decision times comes you have a better understanding of the risk some comercial locks present. If what you are storing or protecting inside your shipping container is of value, then the decision should be pretty clear and luckily not expensive. With a quick search on google you can find news of people having their units broken into because they thought things were secured or their location was safe, that in fact is when you’re most vulnerable because you let your guard down. The high security lock is like buying an insurance policy against your property and our team at Shipped.com can make sure your unit is safe. All new conex containers are sold with lock boxes; used units can have a steel lock box fitted for $199.